The boots arrived well packed in a box, each in its own breathable bag. 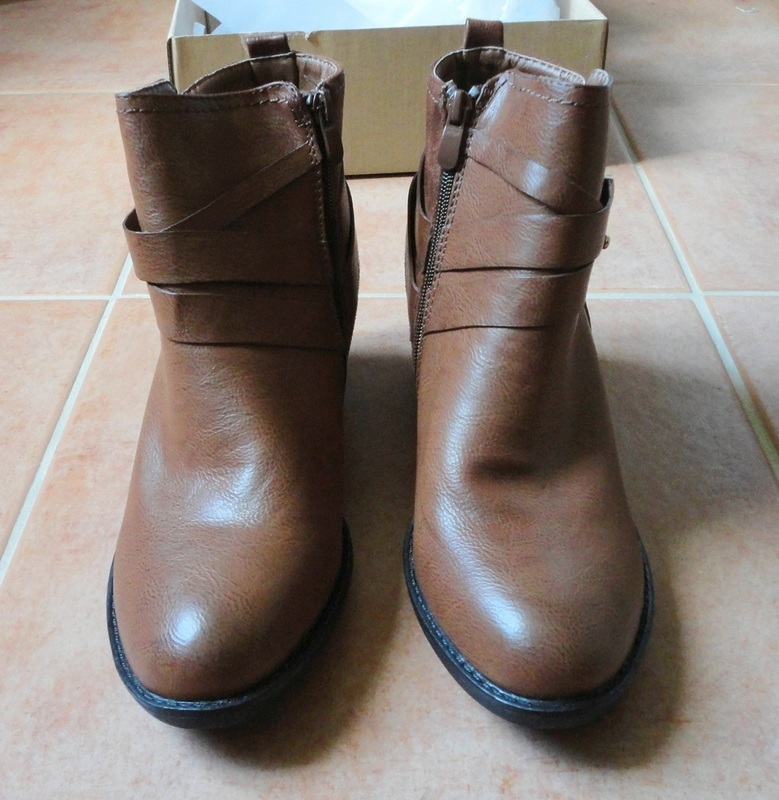 I've had mixed luck buying shoes on line, so I was not overly optimistic. When I put on these boots, I was absolutely delighted. They fit me as though they had been made for me, which is unusual since my high arches often cause problems. I love the side zip which makes it easy to slip your foot in and then secures the boot without squeezing. 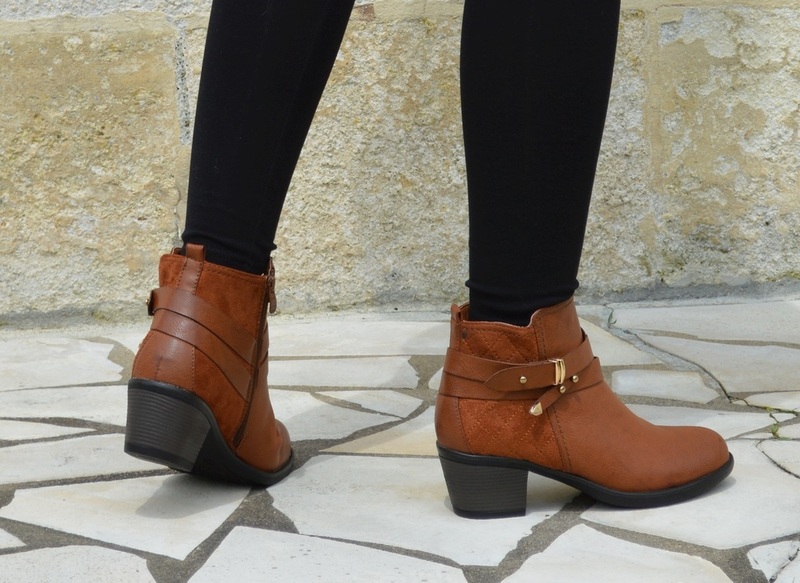 The fit around the ankle is loose without being sloppy, I like it because you can tuck leggings and the ends of skinny jeans inside. 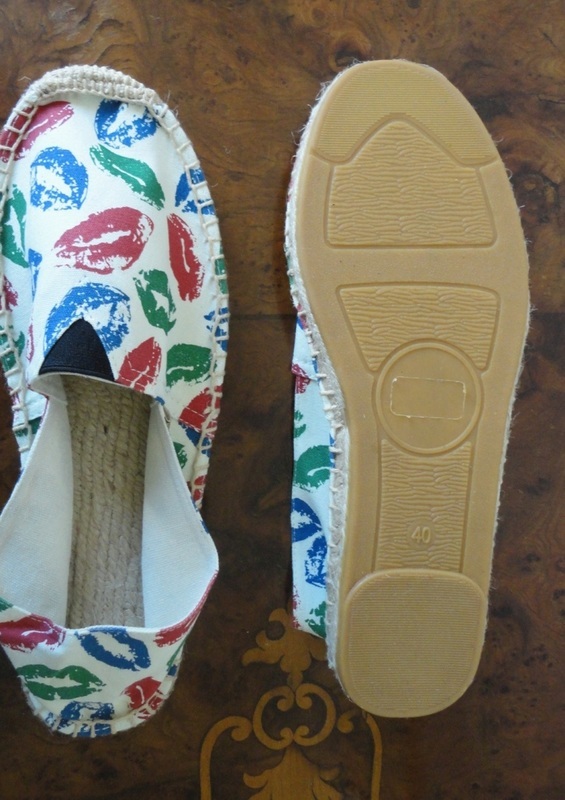 The soles are cushioned and they are lined with a cosy, soft material. 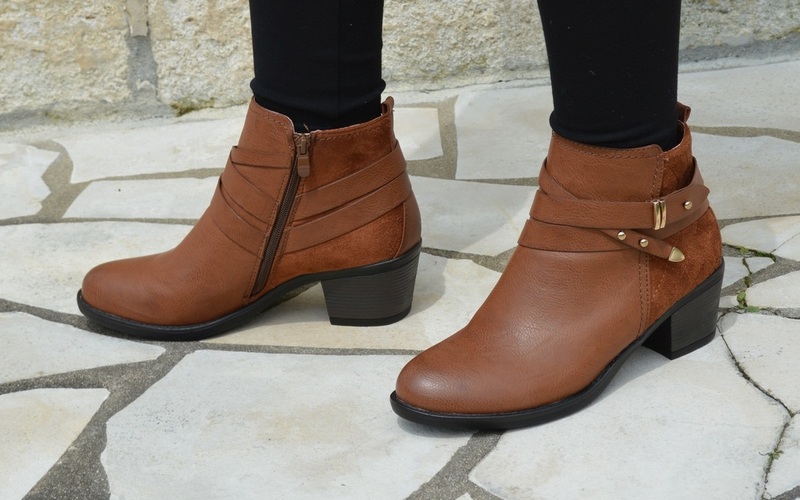 The heel is exactly the height I find most comfortable (I measured it at 5.5 cm or 2 ¼ inches) and is wide enough to give good stability and a lovely silhouette to the boot in profile. The crossed straps and discreet buckle and metal accents make them elegant rather than clunky. 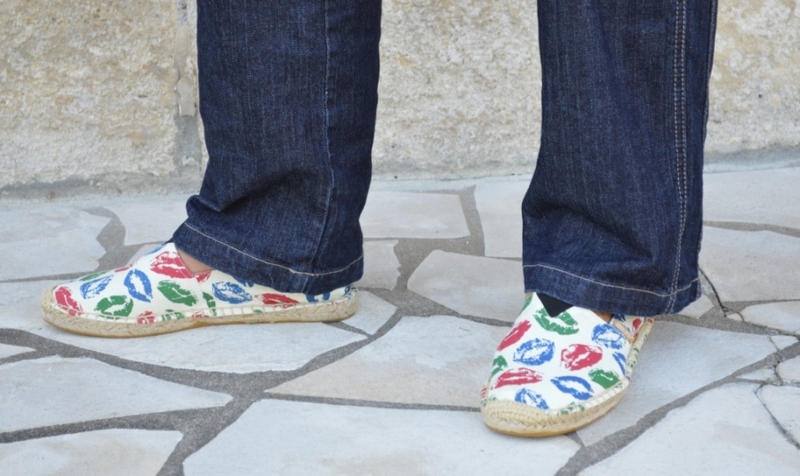 I think they look fantastic with leggings, jeans, and narrow slacks. The colour is also very pleasing, a tobacco brown with the suede perfectly matched in hue (not as red as in product photos). Although the material is man-made, they can easily pass for leather. 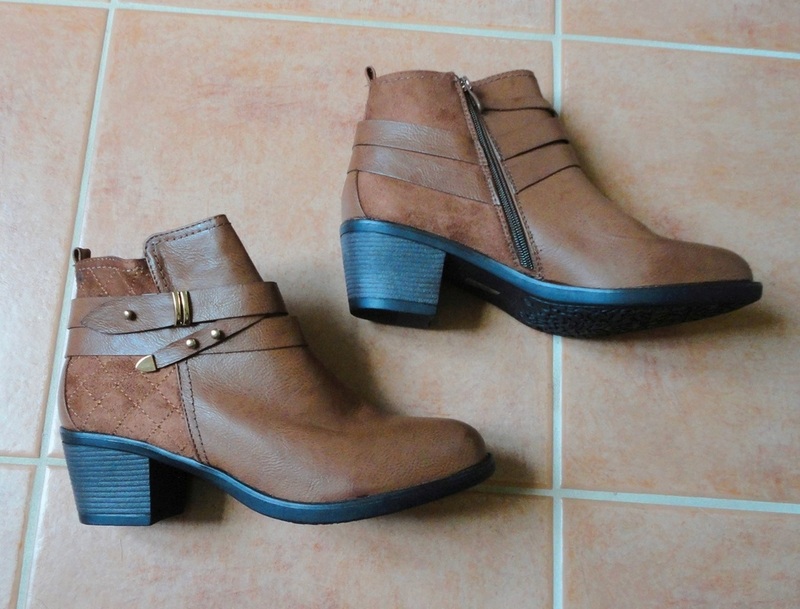 These are the first ankle boots I haven't had to send back, so I'm really pleased with the fit and styling. 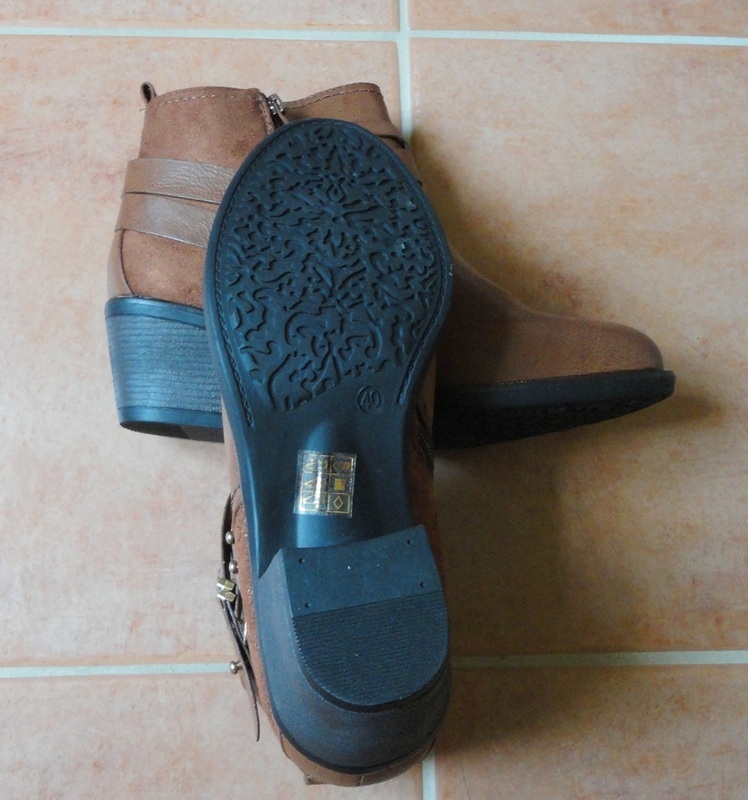 The size is my usual (UK 7, US 9, EU 40) but I would point out that the width is normal to moderately wide, perfect for my shape of foot, which has become wider with the luxury of wearing flats rather than dressy shoes. I can wear them with stockings but also thin socks. I like everything about these boots and they feel very comfortable (keep in mind that I'm comparing them to Crocs!). With such inexpensive shoes, one wonders about durability, although it's clearly too early to tell. Based on looks, comfort and versatility, I think they are worth buying even if they don't last for years. 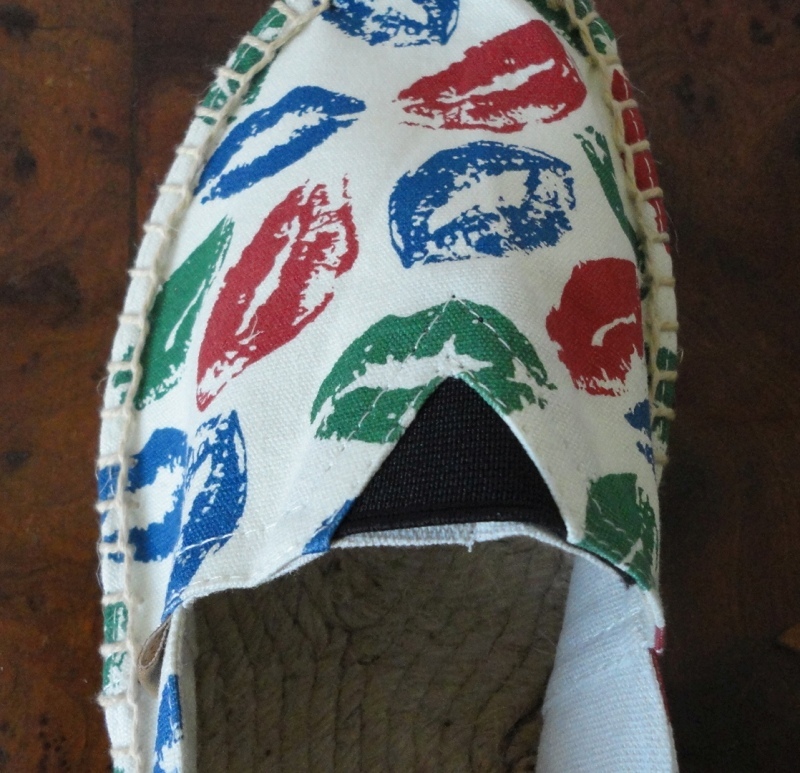 An original pattern of red, blue and green lipstick marks make these espadrille quirky and unusual. They go with anything casual, jeans, shorts, leggings, chinos, whatever you fancy. They are made in the traditional style with a rope sole, sealed with rubber on the bottom; pretty thin so I feel like I'm almost walking barefooted. 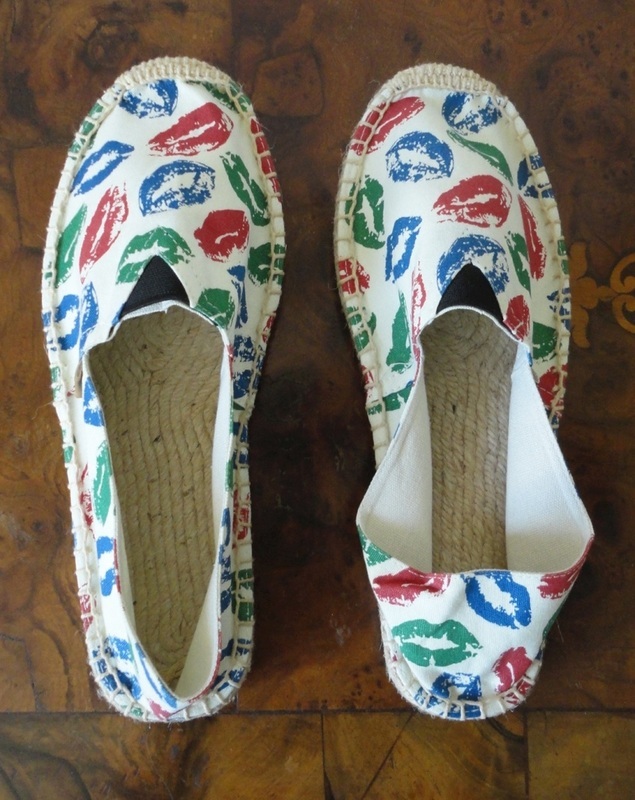 Ideal for hot summer days, the beach and strolling on pavement but I would not go hiking in them! The sizing here is definitely on the tight side. I usually take a size 7UK (9US 40EU). 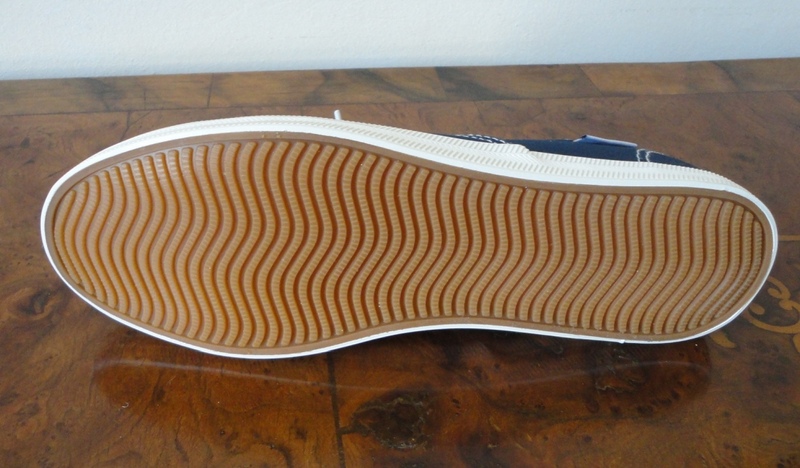 The sole is not that narrow, but the toe box has been sewn very low leaving little space for toes. I can just about squeeze my feet inside but could use an extra inch in length. If the fabric gives, they will become more comfortable, and there is a small elastic gusset over the top which is great for me because I have high arches. 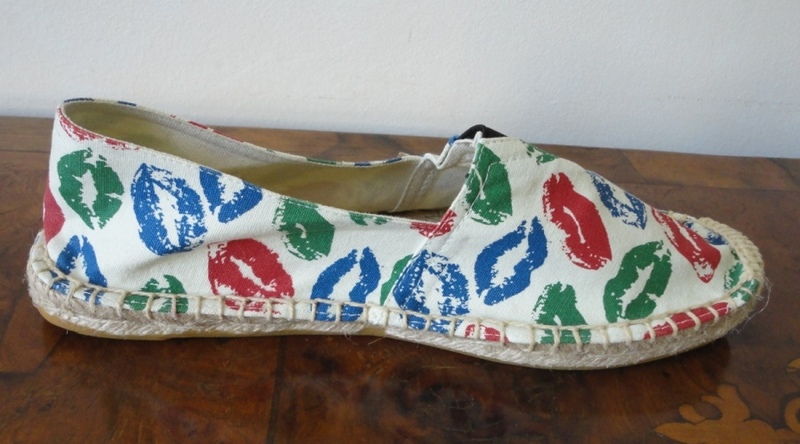 Since this is the biggest size available, I would say that these espadrilles are too small for me. Curious, because the sandals I have tried from this same brand are on the large side. The rope stitching appears strong, we'll have to see how they stand up to repeated use. 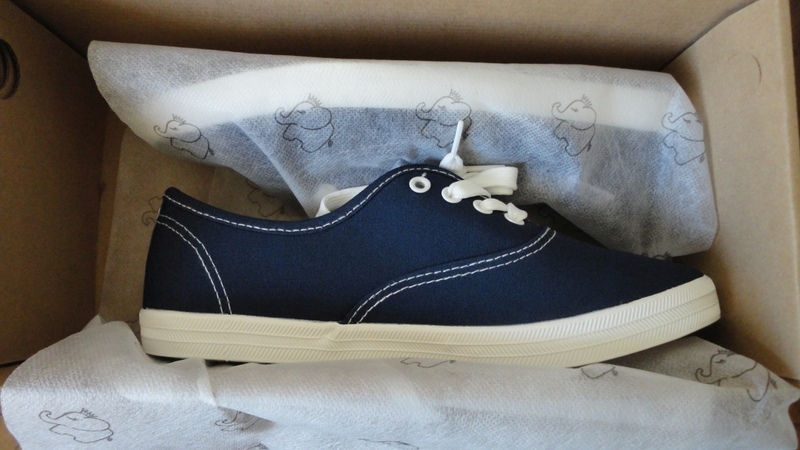 I love the cheeky look, they are fresh to wear on a hot day, but the sizing is smaller than expected. If you have narrow feet with a low to normal arch, and are in between sizes, order one size up from your normal and they may just be made for you. 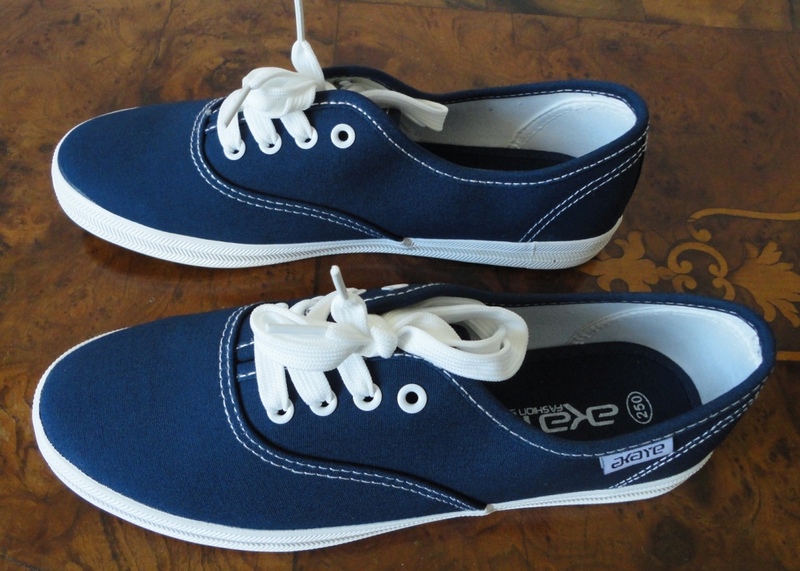 This style of sneakers is never out of fashion, and I particularly like the combination of dark blue with white laces that I chose to review. They appear well made, the laces are very soft, slightly elastic and long enough to tie even over my high arches, but the soles are very narrow and (compared to my other shoes) quite a bit short for the sizing. Also they have a tendency to turn up at the front, perhaps to make walking easier, but it looks strange on me. They only just fit me, when this type of shoe should feel comfortably relaxed and leave room for socks. It surprised me, since the sandals I have tried from this same supplier are on the large side, however, these are branded Akaye, so that might explain the inconsistent sizing. 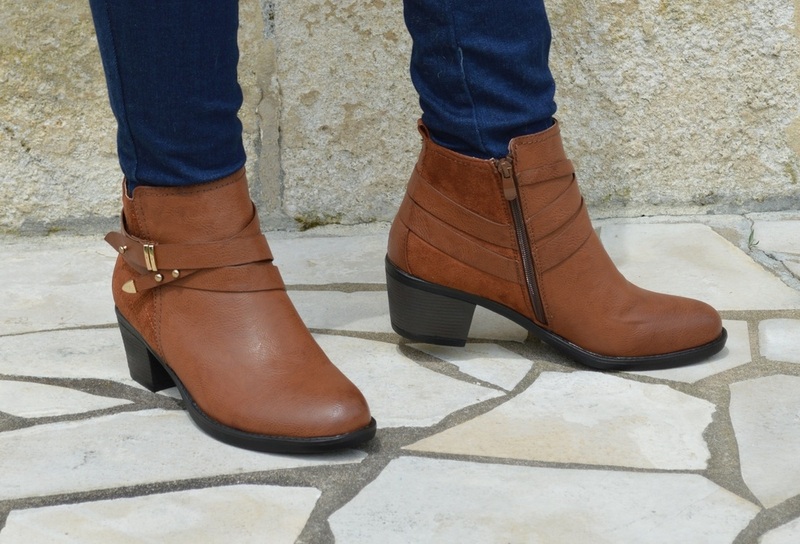 Since UK7 (9US 40EU) is the largest size available, they are really best suited to women with very slim feet, who can order a size up from their normal. 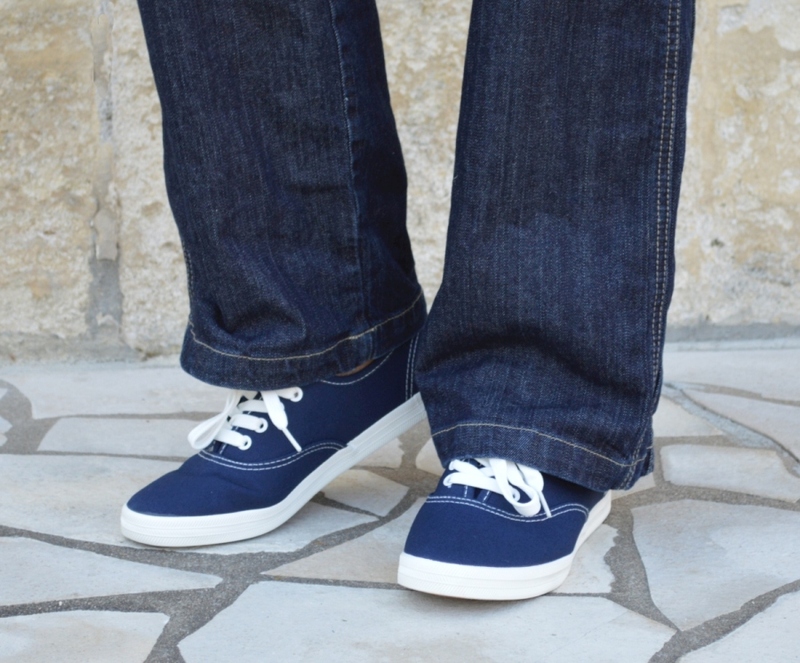 The rubber sole is very flexible, well ribbed and comfortable to walk in, they are fresh and summery and I like their look. I just wish the sizing were more accurate.